Yorkshire Wildlife Park, near Branton in Doncaster, is home to the country’s only polar bears – Nissan, Nobby, Victor and Pixel. As the nation shivered under the sudden Arctic blast yesterday, four year old Nobby was in his element. The young polar bear found a frozen lake far too tempting and wasted no time plunging into the chilly waters. The park’s Project Polar Reserve became a winter wonderland to the four polar bears who enjoyed its ten acres of caves, lakes and rolling terrain. 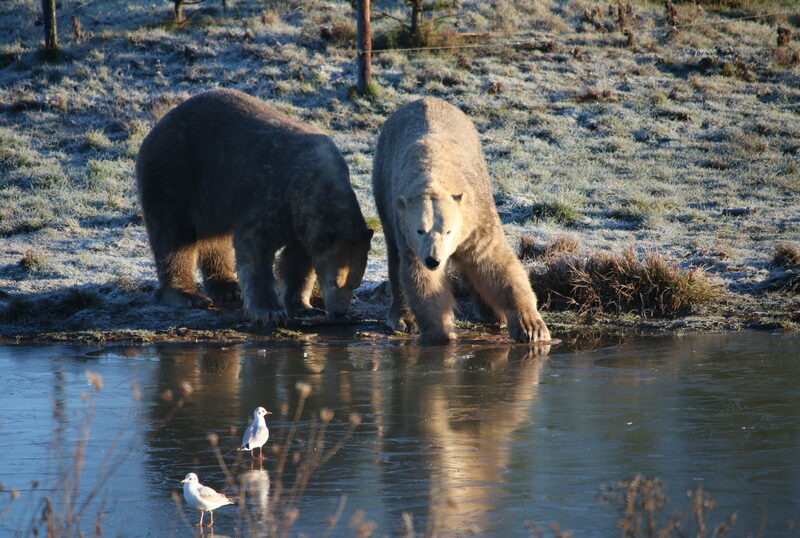 Yorkshire Wildlife Park is at the forefront of an international conservation campaign, Project Polar. Working closely with Yorkshire Wildlife Park Foundation (YWPF) and Polar Bears International (PBI), the Project Polar habitat has been designed specifically for polar bears with a programme dedicated to their conservation and welfare.